Staining on the teeth happens to everyone over time and we’d like to help you achieve the brighter, whiter smile of your dreams at Hallmark Smiles Dental Care. A stunning white smile not only can enhance your appearance, but it’s also a great way to boost your self-esteem! Imagine being able to eliminate years of staining in just a single 1.5 hour session. With Zoom teeth whitening, we can lighten your teeth up to seven shades! Results may vary as everyone has different teeth and various types of staining. You will be given a special prescription-strength toothpaste to use two weeks before you begin treatment. The toothpaste will condition your teeth and reduce any sensitivity during and after the whitening process. When you come into the office, one of our assistants or hygienists will perform the procedure which begins by determining your starting shade. Before the whitening solution is applied, the clinician will isolate the teeth to protect the delicate gum tissue. We then begin applying the solution onto the teeth, which is activated with our special LED light. We repeat this process 3 times for 15 minutes each for optimal results. After we complete the in-office whitening treatment, we will give you directions which include refraining from eating or drinking anything that would stain a shirt, for the first 24 hours after your visit. This is because your teeth continue to whiten even after treatment is complete! 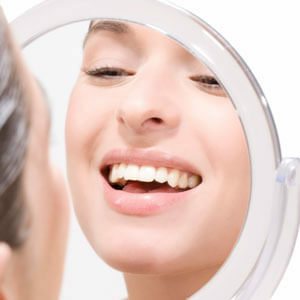 We also provide Zoom whitening that includes take-home trays for additional touch-ups. This option is ideal if you’re a coffee or wine drinker! If you prefer to brighten your teeth from the comfort of your own home, we offer a take home whitening system. Our office will provide you with custom trays that are designed to specifically fit your teeth as well as 2 syringes of whitening solution. Simply place a small amount into your tray, insert and wear for approximately 2-4 hours each day. If your teeth are not prone to sensitivity, you may wear your trays over night to optimize results. Whichever option you choose, you can enjoy a bright, beautiful smile! Contact us today to book a consultation.